The Department of Justice announced August 2 that it had reached a settlement agreement with the former managers and owner of a residential hotel in New Richmond, Wisconsin on a lawsuit alleging sexual harassment against a tenant. Stacy Wright, co-manager of the Lowrey Hotel & Cafe, and Gerald Hoglund, former manager, will pay a previous resident $50,000 in damages for an alleged violation of the Fair Housing Act. The Fair Housing Act was mandated by the federal government in 1968 and is designed to prevent discrimination in renting or purchasing shelter. The lawsuit was filed by the federal government in November, according to Pioneer Press in Minnesota, and alleged that Hoglund made "unwelcome requests for sexual favors" from the tenant in the winter of 2009. "It is unacceptable that a woman looking for shelter should be subject to sexual harassment at the very place where she has sought refuge," said Thomas Perez, assistant attorney general for the Civil Rights Division. "The Justice Department has zero tolerance for this conduct and will take aggressive action against housing providers who sexually harass tenants." In the spring, Hoglund caught rumor that the tenant had told others about the harassment and then forced the tenant out of the residence. Stacy Wright – Hoglund's fiancee at the time – supposedly warned the tenant that Hoglund might engage in this behavior but did nothing to stop these actions. The tenant was homeless when she began staying at the hotel. Hoglund, in addition to the fine, is also no longer allowed to enter the hotel nor be involved in the management of any rental property. It's important in cases that involve the recanting of many different instances from a variety of perspectives and potential witnesses, that lawyers use the best Wisconsin court reporters available. 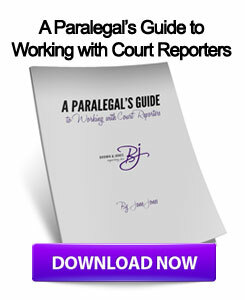 In order to obtain the most accurate deposition transcripts, lawyers may also want to partner with court reporters who provide video depositions as well. 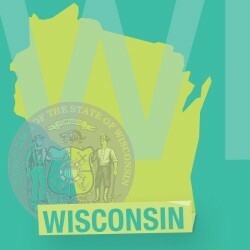 This entry was posted on Monday, August 6th, 2012 at 3:36 am	and is filed under All Posts, Wisconsin Legal. You can follow any responses to this entry through the RSS 2.0 feed. You can skip to the end and leave a response. Pinging is currently not allowed.